Welcome to Haughton Associates' website. We offer a range of business consultancy services to you and your organisation. Experienced in public and private sectors we provide a bespoke intervention. This will reflect and meet your individual and organisational needs. Haughton Associates is supported by a network of highly experienced and qualified facilitators and consultants. We share the same core values of integrity, honesty and an unshakeable belief in the ability of people to reach their potential. Please visit the appropriate page to find out more. We look forward to hearing from you soon. 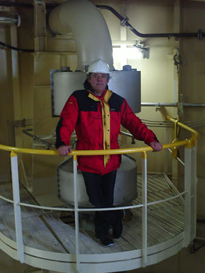 Dr Chris Haughton on board the gas carrier mv Exemplar, Teesport.